Smartphone 9 lenses Photo: Collected. The smartphone with three cameras has already seen the technology world Huawei, a Chinese technology company, has added three lens cameras to its P20 Pro model smartphone. This time the smartphone can not be included in the smartphone to be shocked by the lensed camera. Lite is not an entrepreneur, nor is it a manufacturer of lensed smartphone cameras. 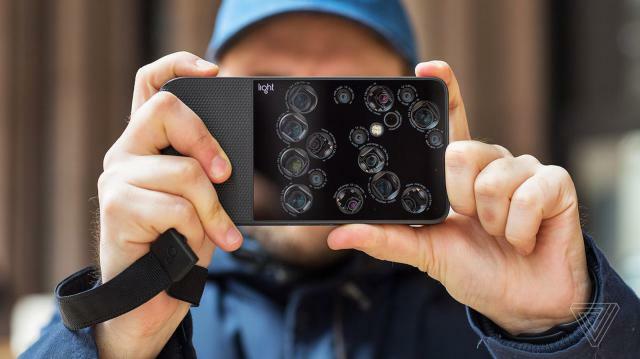 According to a report in the Washington Post, the company named Lite came up with a 16-lens camera system. Now they are going to add a lens camera to the smartphone. The question is, how will the cameras be placed behind the smartphone? Prototype has been found to be rounded up to nine lenses. That means nine lenses like the solar system will be placed on the smartphone. However, the size of the lens can be different. It does not have to take pictures of objects, the lights, depths, colors, etc. will be included in the camera. Then all the information related to the photo will be adjusted with an algorithm. The Washington Post reported that the 64-megapixel images of the nine-lens camera phone will be available. You can take good pictures in low light. This will make it an alternative to DSLR. How much will the price, not the camera's smartphone? Still no idea about the price and date of arrival in the market. But the price of such a smartphone can be higher. Generally, 16 lens cameras will cost $ 1,950 for the lights. Foxconn is currently investing in lights. They can leave the market by the end of this year by creating the smartphone. Another feature of the smartphone is its folded display. According to a report by ETN News, South Korean company Samsung is working on creating a widely-folded OLED display. They can do the display of the display on a folded smartphone.